I remember when we first arrived at Disney World, Orlando–my first ever Disney experience. We were staying at a hotel within the vicinity for many days so we had all the time in the world to play at Disney World. But since my sister and I were so atat (translation: eager) to get things started, we just had to enter Disney World at once even if it was already nearing night time when we arrived. From what I can recall, at that time, the mascots were already done with their shifts so I only got to meet Cinderella. (See! Vivid memories! You can never really forget your Disney experience!) I really wanted to meet Mickey but he was already done with his shift so someone was just giving out his photos with his autograph on them. That’s the photo right there above! It’s my first ever keepsake from the trip (not counting the entrance ticket which I also kept). As you can see from the souvenirs I kept, I really treasure the memories I made in that place and in all the other Disneylands I’ve visited. It really is the most magically place in the world! No other place can make you feel this happy and carefree. It brings out the kid in everyone! Fast forward to now, as I’ve mentioned, I’M VISITING DISNEYLAND AGAIN! Yipeeeeeeee! The great people over at Hong Kong Disneyland have invited me to visit the well-loved theme park. Actually. I’ve been to Hong Kong Disneyland before when it first opened. That’s such a long time ago though, so I can just imagine how much it has changed! 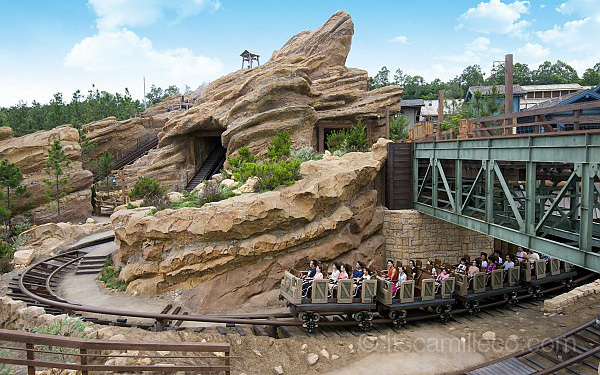 I’m most excited about visiting it’s 2 latest additions to the theme park, namely Toy Story Land (pictured above) and Grizzly Gulch (pictured below). I’ve heard so many great things about them I’m already getting butterflies in my stomach as I type this! 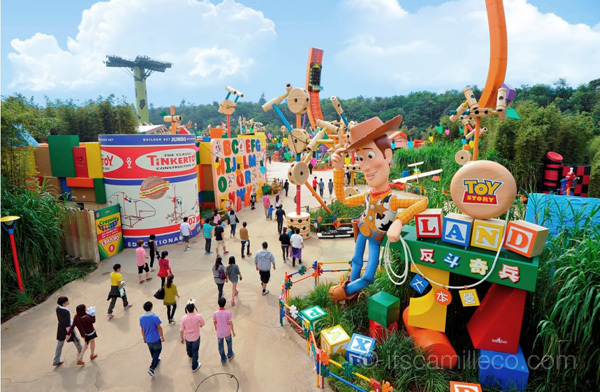 Hong Kong Disneyland is actually the only Disney theme park in Asia that has Toy Story Land and the only one that has Grizzly Gulch all over the world!! how much did you pay for ur disney hong kong trip? i mean the entire trip hm is the total? I will be visiting Disneyland soon! I’m so excited just like you. They really look like they eat kids! Haha! I heard there’s going to be one in Clark!!! Awww you make me miss Disneyland! *sobs* I wish to go there again! I was scared of Jollibee when I was younger too!! Ahhhh Disney World!! Best disney themed park EVERR! You wouldn’t want to leave. Like you I still remember our experience vividly. Wish i could go back!!!! me and my family is going there too! do you have a particular shopping area in hong kong? I’m a first timer Thanks god bless! Sana nga! But I bet it’ll be so crowded! Ahh, you’re so lucky! Have fun! Hi Camille! What can be the best outfit for themed parks? Please. :) I appreciate it. Thank you! Ohhh!!! Im going there too..hope to see you!!! Ahhhh! 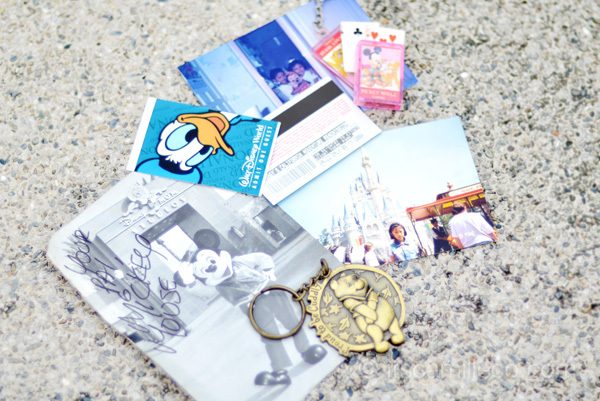 You have a photo of mickey mouse and his signature! Disneyland is fabulous:) :) Everything about it is so magical hehe. Enjoy your trip there!! Oh jeez.. I wanna go too~! >___<!! We are never too old for Disneyland!! I thought HK is not the only Disneyland in Asia? There’s Tokyo Japan? Haha I’ll look for that! I love this post and the way you write! :) I would love to go Disneyland sometimes. I’ve never been there :( I love everything Disney! Brings so much nice memories from childhood! I can just imagine how amazing Disneyland would be. Thanks Jasmin! I’m so excited! How can you be scared of Chinese New Year dragons, ate Camille? I think they’re awesome! :D And the dancing tiger too, we once had this show where the “tiger” would jump from pole to pole, it was just too cool! wooow. enjoy ate camille. keep safe! Haha but my luggage weight!